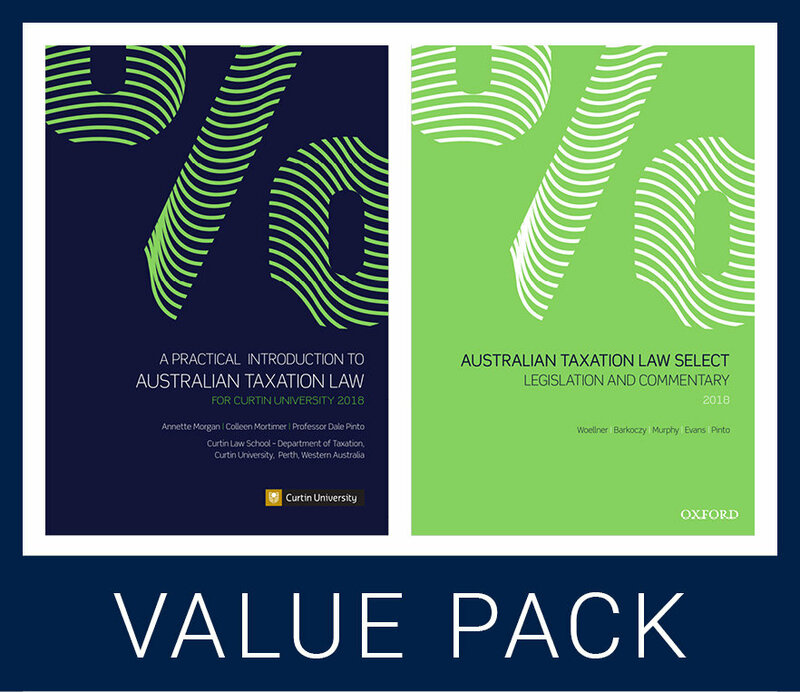 The Curtin Tax Law Select Value Pack contains A Practical Introduction to Australian Taxation Law 2018 and Australian Taxation Law Select: Legislation and Commentary 2018 ebook. This pack has been created specifically for students at Curtin Law School studying either:Introduction to Australian Tax Law (Curtin TAXA2000; OUA BLW32), orFundamentals of Australian Tax Law (Curtin TAXA5001; OUA MT531)A Practical Introduction to Australian Taxation Law 2018 is essential reading, and is structured on a topic basis with brief notes and examples, followed by questions at the end of each topic. It should be read in conjunction with the Australian Taxation Law Select. Each topic includes cross references to the relevant readings.Australian Taxation Law Select: Legislation and Commentary 2018 has been designed to ensure you get exactly what you need, week to week, to support your success in this subject.Please note: Your copy of A Practical Introduction to Australian Taxation Law 2018 will include an ebook code for Australian Taxation Law Select: Legislation and Commentary 2018. Please visit vitalsource.com/en-au to redeem your ebook code.